Occasionally in life, a 3-cent, 33 ohm resistor is the solution to your problem. The problem, in this particular case, was that I wanted to use an old mobile phone headset as a lavalier microphone for doing some audio recording to a phone, but didn’t need the earbuds; just the microphone. So I very rashly snipped off the earbuds, only to discover that the phone no longer recognized that a headset was plugged in. Instead, the phone continued to use the built in mics, which weren’t super effective since the phone gets tucked in a pocket. I vaguely remembered working on some pesky bugs wrt unreliable headset detection while coding for a local device manufacturer. As DMF explained it to me then, the phone tests for the resistance of the earbud transducer. If it sees infinite resistance, then it reckons there is no headset and we have the aforementioned microphone behaviour. While I found no reliable info on the interwebs about this, I figured I could fake out the phone with a simple resistor. Which, TL;DR, worked. 3. 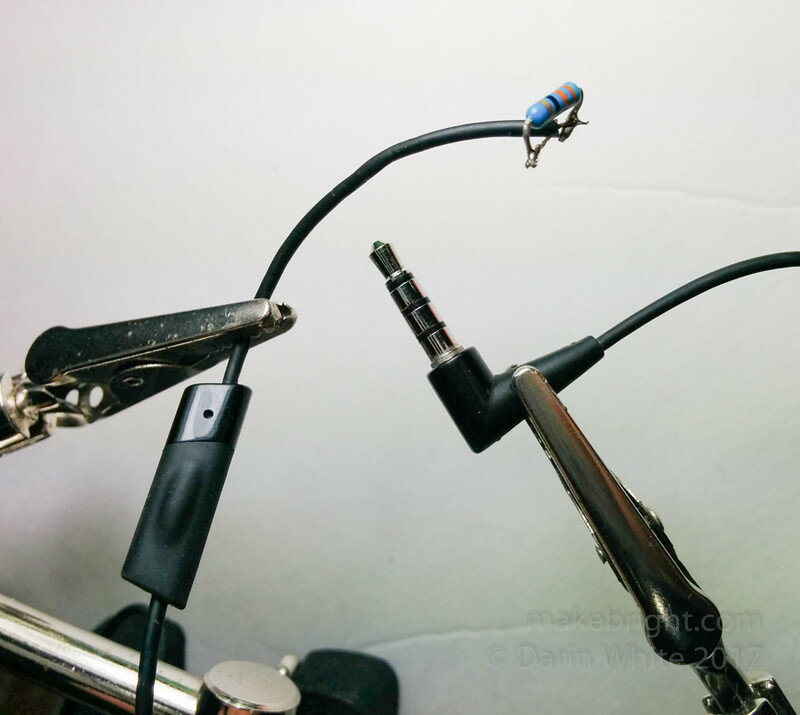 The theory that with a hot soldering iron+solder+flux you can “burn off” the green and orange shellac coating the microscopic headset wires and get a solid electrical connection is simply that: a theory. I coated this mess in a blob of epoxy for mechanical stability. Clockwise from left: microphone, resistor hack, TRRS 3.5mm connector that plugs into phone. To those tempted to send me Amazon links to low-cost lav mics, I’ve already seen them. This is a makerly thing. 3. 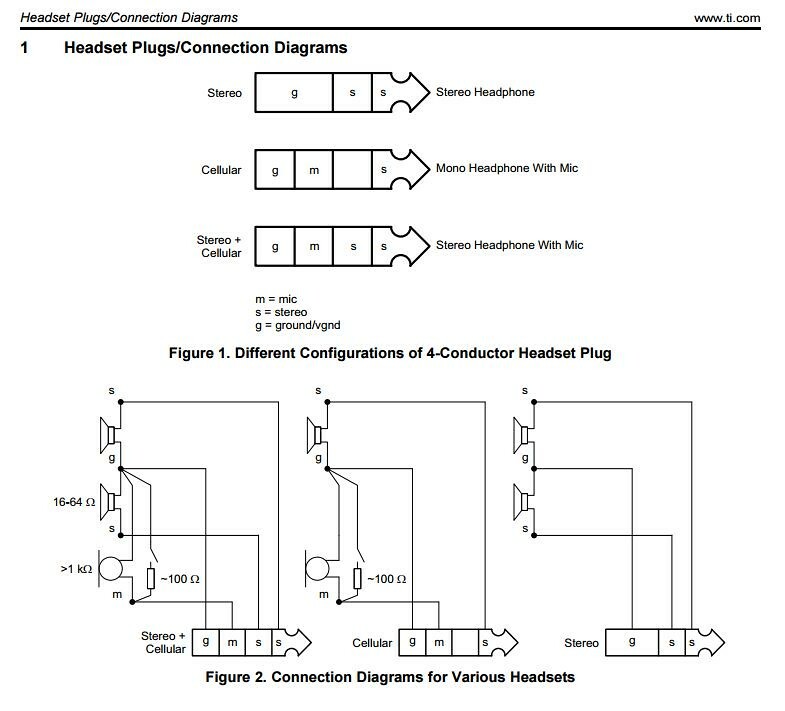 In determining audio routing, phones also need to consider destinations such as Bluetooth, Wifi Direct and probably a few other accessories I’m forgetting. 4. The continuity function on your multimeter will be helpful for determining the pinout of those hair-thin wires on your headset. But first you’ll need to tin those wires. Thanks to JB for confirming that 33 ohms was a sane value of resistor. 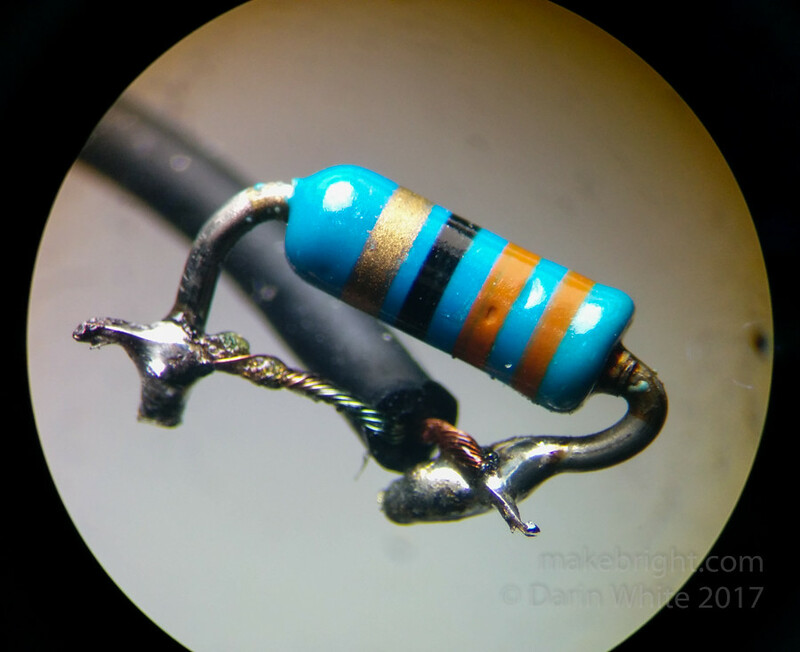 This entry was posted in making and tagged electronics, hack, hardware. Bookmark the permalink. Love that you included these diagrams!